Fandango has turned twelve years old and is celebrating with a record-breaking month of May. After announcing an exclusive partnership with Moviefone, the company says that its May was one of the best months ever in its history. Other than being its best May ever, Fandango saw a record 34M unique visitors last month, and a record 28% of its tickets sold over mobile devices. Overall, the company saw a 47% increase in ticket sales year-over-year. Fandango’s record-setting May is yet another signal of the incredible momentum behind Fandango right now. Our enormous network of theater screens and box office share, combined with our innovative mobile and social products as well as our extensive coverage of movie news and film reviews, has made Fandango an essential destination for moviegoers everywhere. Without a doubt, “Marvel’s The Avengers” had something to do with the record-setting month. The film quickly became the third top-grossing film globally of all time. This is yet another sign that Fandango has become a popular way for movie buffs to buy their tickets, both in advance, and on their way to the theater. In March, Fandango told us that it accounted for 22% of the opening sales for the “Hunger Games”, selling an astonishing 17 tickets per second. In addition to its Moviefone partnership, Fandango also powers the ticket sales for Yahoo! 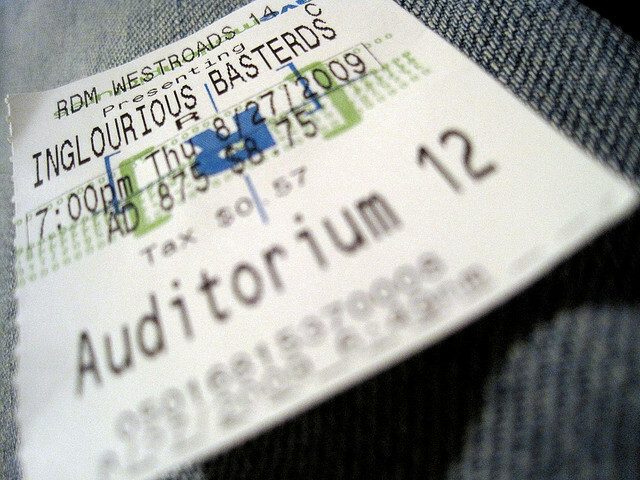 Movies, which is one of the company’s most popular properties. Along with a pretty awesome mobile app, Fandango has experience some lift from Facebook’s Open Graph as well. Buying tickets and then sharing that with your friends on the social network means that more people have access to what you’re actually paying to see, which is a way to start conversation and sell more tickets.